The Minnesota Vikings are in a fight for their lives in the playoff race currently with a season record of 9-6. The Vikings are in a tie for first place in the NFC North with the Chicago Bears. Minnesota currently holds the tie-breaker and a win this weekend seems like a must if they plan on being around this playoff season. Their match-up with the Giants will have huge implications on the line for the Vikings, but for the Giants it could be just the opposite. New York picked up possibly their biggest win of the season last week with a 34-28 victory over the Carolina Panthers. The win clinched home field advantage for the Giants throughout the playoffs. The question for this weeks game is how much will the starters play and will this game be one of those where the team that is locked in the playoffs simply gives the game away with showing no need to play for a win. New York has been the best team all year in the NFC. The reigning Super Bowl Champions are the early favorites to win the NFC again and make another Super Bowl trip. However, this week they find themselves in a rather weird situation. The Giants can not gain anything from a win this weekend and it will be interesting to see how long the starters stay in the game or if they come out. The Giants would be favorites in this game, but instead due to the fact they have nothing to play for they come in as a near touchdown underdog. It will be interesting to watch how the Giants approach this game since it is rather insignificant to their season. Minnesota on the other hand must bring their best performance to the table. The Vikings have to approach this game as a must win with no possibility of defeat. Minnesota will wrap up the NFC North with a victory and with their strong running game they could be a threat in the postseason. The Vikings sport the 3rd best running attack in the NFL behind sensational running back Adrian Peterson. Peterson has been the work house for the Viking offense this season carrying the ball for a total of 342 times. Peterson ranks 1st in the NFL in rushing yards racking up 1,657 yards on the season with 9 touchdowns. Peterson looks to lead the Vikings ground attack and run them straight into the playoffs. Vegas has opened the betting line favoring the Vikings over the Giants by 6.5 points. 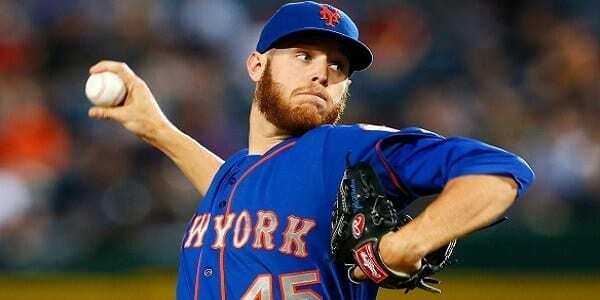 Early betting action shows that the Giants are being favored ATS, but bettors must be cautious to throw a wager on this game before knowing which players will play. The over/under total stands at the 42 mark and the early betting public is favoring the under heavily in this game. The Vikings QB Gus Frerotte has been the man behind center this season for the Minnesota offense. Frerotte has been fairly effective this season completing 59% of passing attempts. Frerotte has thrown a total of 12 touchdowns on the season, but has been inundated by interceptions throwing 15 on the year. The Vikings will not be able to afford to turn the ball over this weekend. No matter if the Giants have all backups in the game, if the Vikings throw interceptions and turn the ball over they can still lose. Minnesota must look for running back Adrian Peterson to be a huge factor and rack up some yards this Sunday. New York has one of the top rated defenses in the NFL this season. The Giants defense ranks 7th in total yardage holding opposing teams to only 289 yards per game this season. The Giants defense also sports the 5th best scoring defense in the league holding offenses to a mere 18.3 points per game. The Giants defense will try to stand tall against the rushing offense from the Minnesota Vikings. Offensively, Giants running backs Derrick Ward and Brandon Jacobs have combined to be the best rushing offense in the NFL. New York is responsible for a very strong 157 yards per game on the ground this season and they may look to control the ground game against the Vikings this Sunday. New York is 13-2 ATS in their last 15 games on the road and have gone on the under side in 3 of their last 4 games. Minnesota is 6-12 ATS in their last 18 games and only 3-6 ATS in their last 9 games at home. The Vikings have been responsible for reaching the over total in 6 of their previous 9 games. Jays Pick Giants may try to play good football, but will bring players out late. Vikings will run the ball non-stop and there will be no way more than 42 points are scored. Take Under 42.